Food critics always bang on about places inspired by Noma, one of the world’s most expensive and exclusive restaurants. 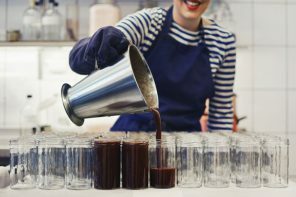 Spend a day or two in Copenhagen, however, and you’ll realise that dining out can actually be great value – and it certainly isn’t just for the rich and famous. The Danish capital is a scrumptious city where even cheap food is taken extremely seriously. Whatever your budget, there are delish meals and snacks just waiting to be devoured. Follow these tips and you’ll soon be tucking into some of northern Europe’s tastiest eats on the cheap. There’s a map at the bottom of this article highlighting all of the places we recommend. Your first port in any hungry storm should be one of Copenhagen’s food halls. These places are perfect for those times when you really can’t decide what to eat. They each have loads of different stalls squeezed under the same roof, so you can basically spend an hour or two wandering around, slowly getting fatter as you go. A good, central place to get your first taste of food halls is Torvehallerne, near Nørreport. There are actually two big, glass-sided food halls here, with a sprinkling of market stalls set up on the square between them. This place is bustling at lunchtime, with locals coming to fill up on Vietnamese bánh mì, freshly baked bread and delicious cakes and pastries. There’s even one stand that specialises in porridge. Yep, porridge. The two halls are open every day from 10am onwards (11am on Sun). Across town by the waterfront is Copenhagen Street Food, a huge, hangar-like food court with loads of cheap and tasty places to grab lunch. 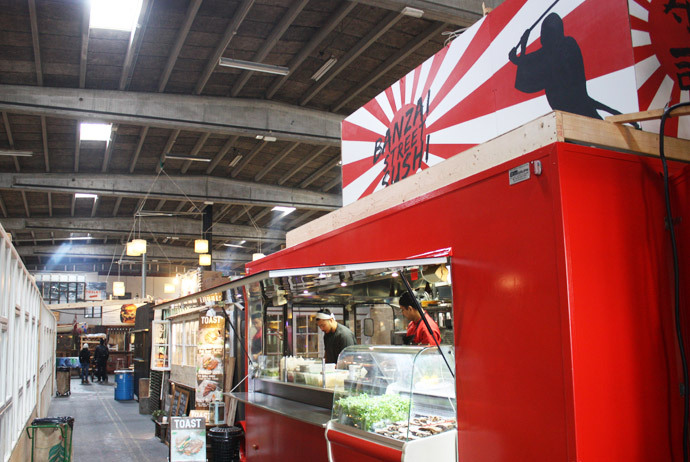 Brightly painted stands serve up everything from sushi and Brazilian-style grilled meat to crispy falafel. When it’s chilly outside, noisy hot-air blowers warm the whole place up – there’s also a toasty fire crackling away in one corner. Lunch will cost you around 75 DKK (around US $11). Cheap, eh? Copenhagen Street Food opens at noon every day. It seems like there’s a hot dog stand on almost every street corner in Copenhagen. For all you’ve read about the ‘New Nordic revolution’, the humble hot dog is still pretty much the country’s national dish. 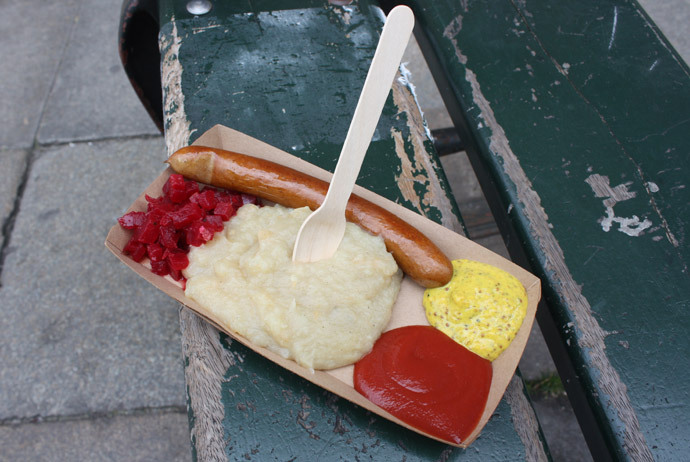 The vast majority of hot dog stands in the city centre are super-simple affairs, serving up classic røda pølser (red sausages) for around 25 DKK. For something a little different, try DØP near Rundetaarn on Købmagergade. It doesn’t look much different from its competitors on the outside, but this little stall specialises in organic ingredients and has yummy, unusual options like goat-meat sausages. A classic grilled pork sausage served with mustard, ketchup and a divine potato-and-parsnip mash will cost you just 34 DKK. Be prepared to queue. Every weekend from April–late September, food trucks roll into a square in Copenhagen’s meatpacking district, forming Kødbyens Mad og Marked. 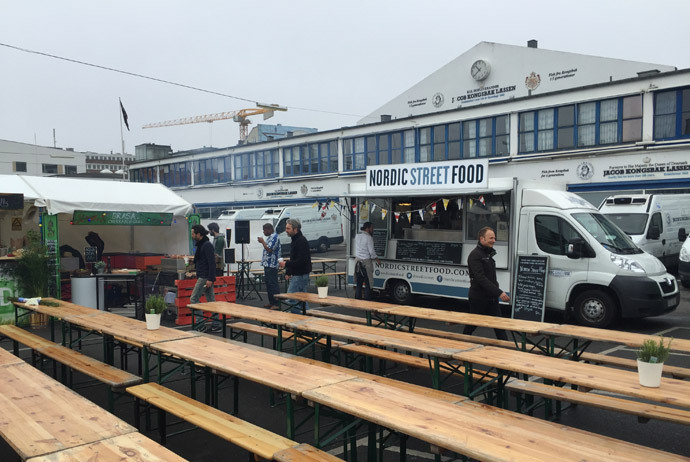 Here, carts offering crepes and home-baked cakes do battle with trucks selling Nordic-style street food. There are also a handful of sit-down restaurants on the surrounding streets. You can easily fill up here for less than 75 DKK, and the quality of the food at some of the stands is seriously impressive for the money. There’s another cluster of food trucks a 10-minute bike ride away on Rådhuspladsen, just north of the Tivoli amusement park. You won’t get far in Copenhagen without encountering smørrebrød – the famously tasty open sandwiches that are piled high with fresh ingredients and are, quite simply, impossible to eat without spilling all over your face. Etiquette dictates that you should really eat these with a knife and fork, but there’s a lot to be said for just throwing handfuls of food mouthwards and keeping a napkin handy. The quality of smørrebrød is high across Copenhagen, but there are a couple of places that deserve a special mention. Try Hallernes Smørrebrød, inside the Torvehallerne food hall (see above). Open from 10am daily (11am on Sun) it attracts a steady stream of hungry locals and tourists, who snap up sandwiches that are topped with everything from roast beef to little mountains of hand-peeled prawns. Prices are low – from around 50 DKK per sandwich – and a couple of smørrebrød will be enough to keep hunger at bay for a few hours. 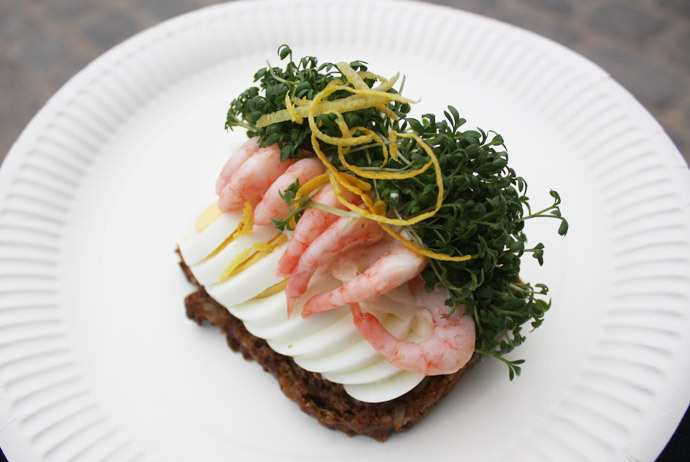 An even more affordable option is to head out to Ritas Smørrebrød at Fælledvej 11 (Mon–Fri 7am–2pm). There are more than 40 different types of cheap smørrebrød to choose from here, including real classics loaded with cheese, meat or fish. 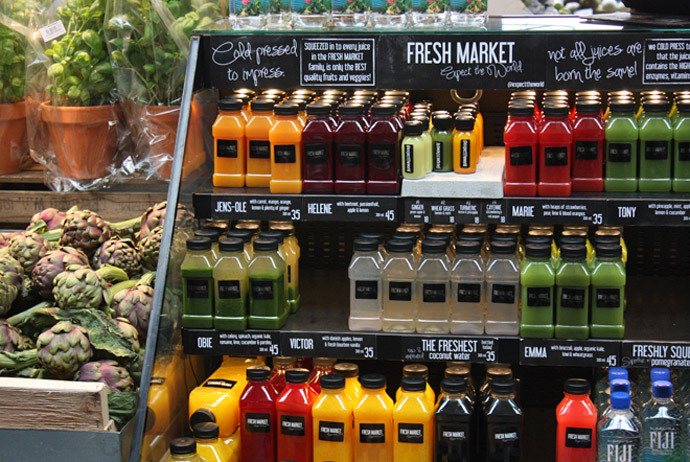 The absolute cheapest way to eat in Copenhagen is to visit one of the city’s supermarkets and stock up on food that you can prepare back at your hostel or Airbnb rental. Unlike in Sweden, where booze is only sold by one state-owned chain of shops, you can also use supermarkets to stock up on cheap drinks. The most obvious choice for penny-pinching tourists is Danish-owned Netto, where you’ll find everything you need for a picnic or slap-up meal. There’s a handy branch near Rundetaarn in the city centre (daily 8am–10pm). Even if you’re visiting Copenhagen on a budget, it’s not much fun to eat all of your meals out on the street, or back at your accommodation. Happily, there are some great-value cafés and restaurants that offer a taste of the city’s cool dining scene without making you poor and miserable in the process. Need some recommendations for good-value places? Here goes. At breakfast time, head to Café Dyrehaven at Sønder Boulevard 72. This is one of the city’s nicest places to start the day, with a retro wood-panelled bar area that’s decorated with antlers and old photos. Well-priced breakfast options include corn fritters, skyr with muesli and fruit, and a zesty avocado mousse that’s served on toast. The café is open daily from 8.30am onwards (or 9.30am on weekends, when it gets incredibly busy). 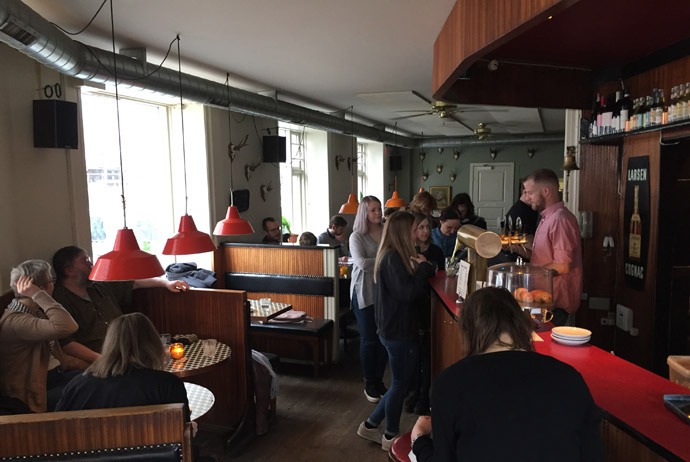 If you’re looking for an unusual place to eat dinner in Copenhagen without blowing your travel budget, try Sporvejen at Gråbrødretorv 17 (daily 11am/noon–10pm). Done up like an old tram, it’s popular among the city’s students and does some uh-maz-ing cheeseburgers for around 90 DKK. There are some good beers to choose from too, available by the glass, half litre or litre. 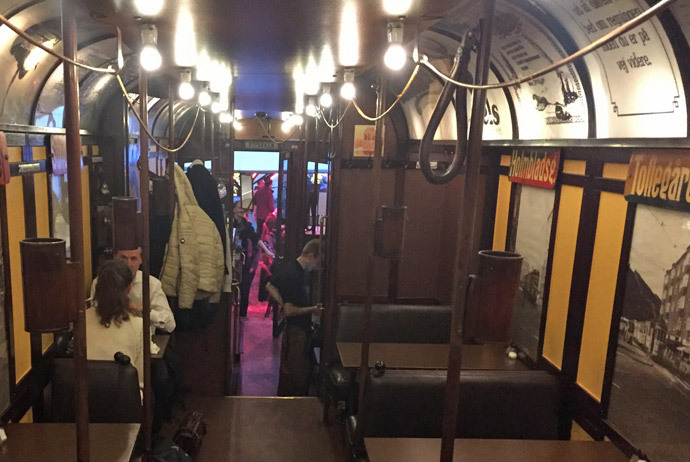 Expect to wait a while for a table here on weekends – space is tight inside the tram! Go to 7-Eleven for Palæo and 7-Eleven branded healthful salads, wraps, etc. $5USD will get you a great Palæo salad or wrap! Great tips! We use them all living here – can add up trying to take a family of five out to dinner (or even lunch!) We love Tommi’s Burgers in Kødbyen – will have to try Sporvejen – love quirky settings! Try Riz Raz for their green buffet – only 99dkk for healthy, yummy all you can eat – tons of salads, grains, falafels, etc!